Today we would like to introduce a new service to our website called ‘Appleosophy Forums’. Appleosophy Forums is a place where you can discuss Apple products and services, or anything related to the Apple Community in general. You can post topics and get help from other Apple fans in the community. How can I signup for Appleosophy Forums? You can signup for Appleosophy Forums here. You do not need to verify your email to make a account. But please note that we have the right to terminate your account at any time and if you inactive for a long period of time. Your account might be terminated.  Our goal at Appleosophy is to bring the latest Apple News & Rumors to the Apple Community and to everyone in the world. We hope you enjoy Appleosophy Forums to connect with other Apple fans that love the same stuff you do. If you have any questions about Appleosophy Forums, please visit ‘The Anything Forum’. We would also like to mention that your Appleosophy Forums login works with commenting on Appleosophy Posts, you will just need to sign in from Appleosophy Forums. We would like to say thank you for your support and helping us grow day by day.